MOCHI CRAFT 64´ FLY:Ventura Yachts, Mochi Craft Exclusive Dealer for Spain and UK proudly presents this Fantastic example of the Mochi 64 on its Fly version. This 64 foot lobster boat has been built using all the experience acquired by the Ferretti Group among the years and taking it another step forward to offer the customers a modern design & technology on what it still remains as a "classic concept" of a boat. Apart from its design, the strongest point of the Mochi 64 is its hull which without a doubt would guarantee the safest navigation even in rough weather. Accommodation for 6 guests in 3 en-suite cabins. 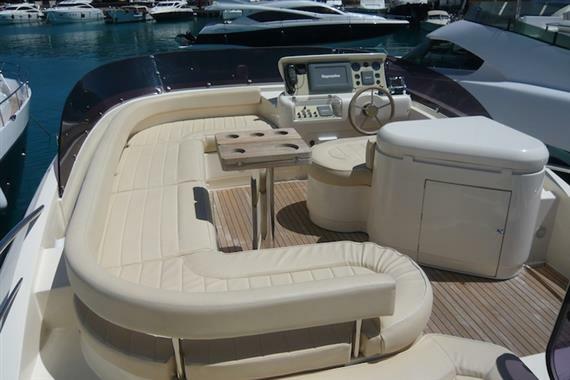 Owners cabin mid ship – full beam, VIP in bow with en-suite bath and port side cabin with twin single berth. 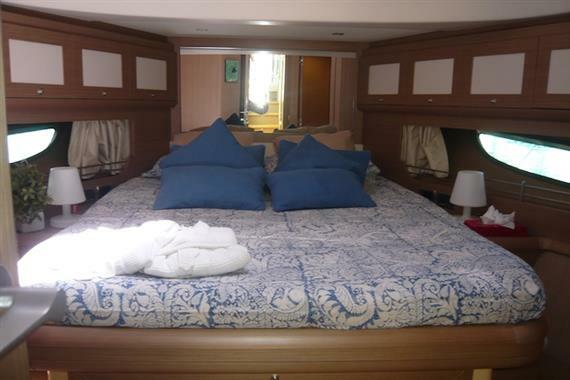 Crew cabin w/2 bunk beds, access port side. Large saloon with access to the galley a starboard. Crew cabin access from the galley which also offers a side door.